What is a Louisiana Quit Claim Deed? 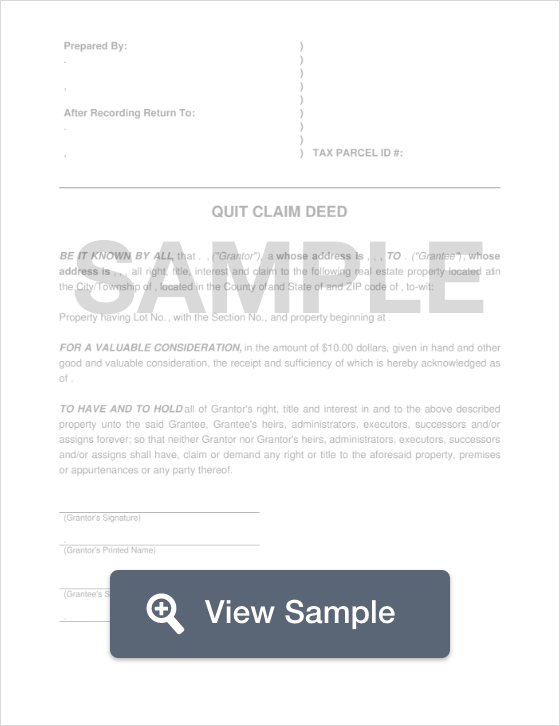 Louisiana Quit Claim Deed: What Is It? A Louisiana quit claim deed is a document that individuals use to transfer property from one person to another in the state of Louisiana. It’s important to note that this form of transfer does not come with any guarantees that the property is being transferred with a clear title. This form of transfer only guarantees that the Grantor (the person selling or transferring the property) does not come at a later date to claim interest on the property. Quit claim deeds are generally used between family members to transfer property between family members, however, can also be used in traditional transactions. As with any form of transaction, it is important to conduct a thorough title search to ensure that there are no encumbrances on the title. Signing - Louisiana Law dictates that a quit claim deed must be signed by the seller of the property in the presence of two (2) witnesses and a Notary Public. Recording - In addition to the proper filing fee, the quit claim deed must be filed with the Clerk of the Court’s Office in the parish the corresponds with the location of the property.